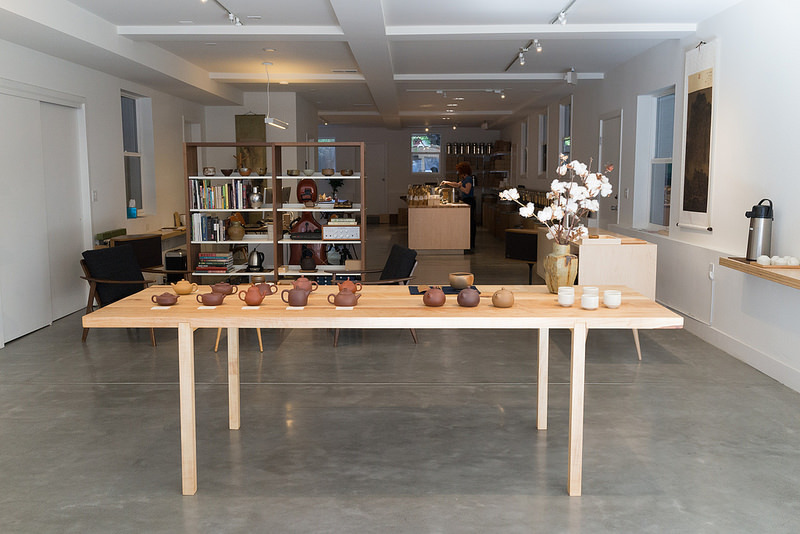 San Francisco is home to a number of great teahouses. 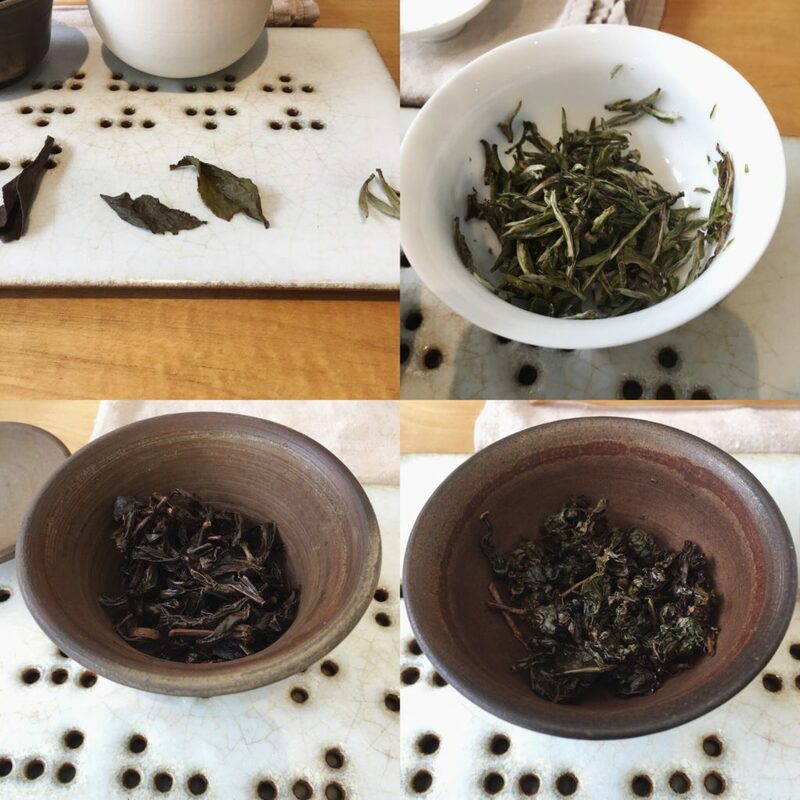 I’ve introduced a couple of them in the past on the blog here and I’m excited to talk about another: Song Tea. Song is nestled in the heart of the city in Lower Pacific Heights (a stone’s throw from Japantown) across from one of the city’s hottest brunch spots: Sweet Maple (try the Millionaire’s Bacon, seriously). I knew as soon as I walked in I was entering a a carefully curated, deeply dedicated place for those who are serious about tea. The design is minimalist with a slight retro bent and nothing takes the focus off the tea. That focus on tea above everything was evident in everything from their curated choice of mostly handmade tea ware to their similarly curated choice of premium tea. If I’m being honest, I was a little nervous. I spent the first ten or fifteen minutes quietly marveling at almost every single piece of tea ware. It wasn’t until I bumped into a gorgeous Xi Shi Hu yixing tea pot that I decided to draw some attention to myself. Amanda was ready and willing to answer any and all questions, and she did so with a soft-spoken yet passionate interest in the subject of yixing pots. She was very clearly excited by the topic, and the tea house music selection, too–she would occasionally punctuate a point with a bit of a dance or sway in time with the tune. Then we moved from the yixing collection to the tea wall. Off in the corner of the shop as you walk in the door is a low table with six stools that’s dedicated to their tea service. The tea service is a $10 affair and you get to pick three teas. If you’re not sure what you want, you can ask for recommendations based on your preferences. 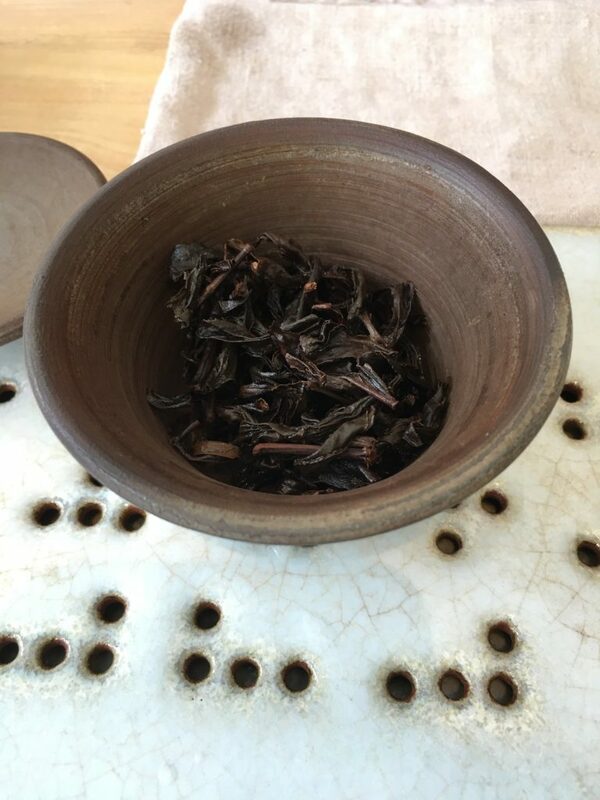 They had some classics like Tie Guan Yin and Honey Orchid (Mi Lan Xiang) mixed in with some fascinating “experimental” teas like the Shan Lin Xi Winter Sprout, a green oolong picked in the winter as opposed to the more typical spring/fall picking season. 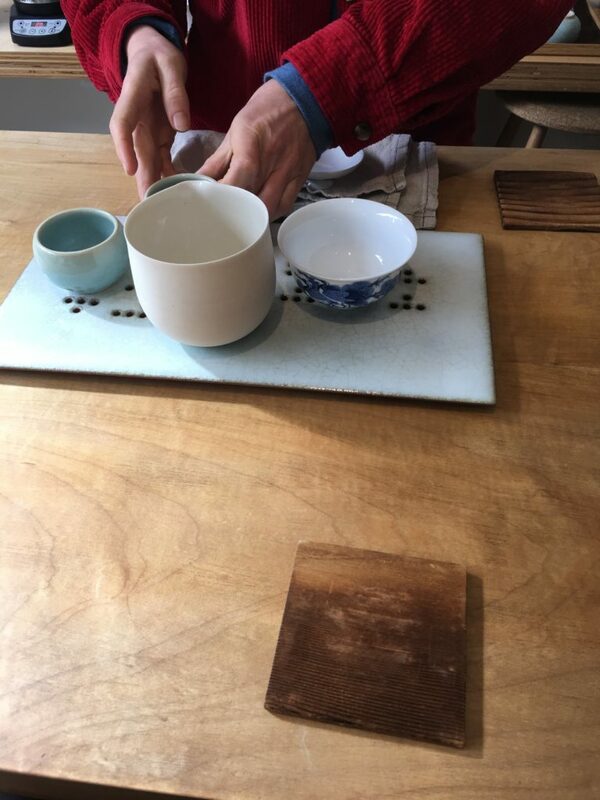 My selection for this service was their Arbor Silver Needle, a Taiwanese-style Rock Tea, and a bug-bitten black tea (as opposed to the more common bug-bitten oolong). Amanda set the table and brought over the white ceramic Fairness Cup I’d been fawning over almost nonstop since I entered the store. With the stage properly prepared, we got to the brewing. The Silver Needle was a fabulous opener. It was tender and subtle and gentle in a way that forced me to stop and pay attention. As I drank, Amanda explained some of the finer points about Silver Needle tea and the unique nature of this tea in particular. The tea is made from old arbor material on trees that are 8-10 feet tall (as opposed to the smaller, younger shrubs). 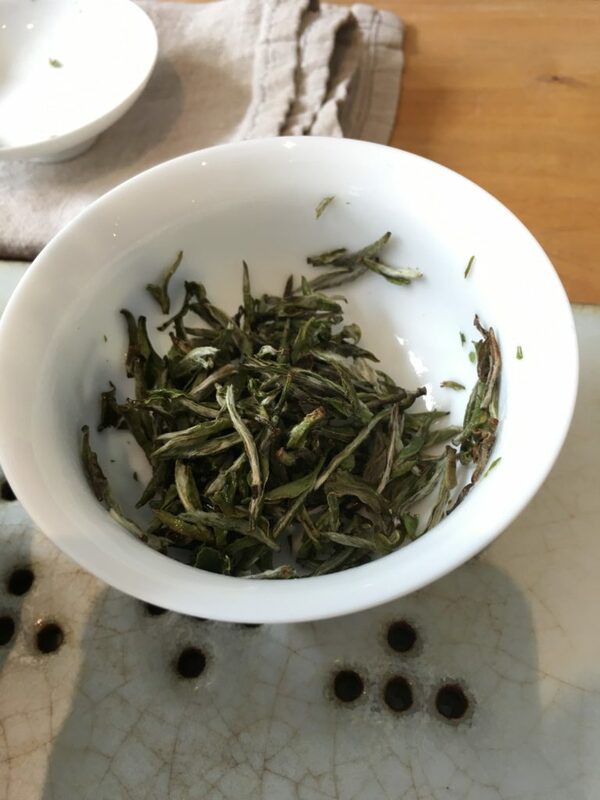 This matters, because trees are able to draw much more nutrients and minerals from the soil (deeper roots), which has a huge impact on the tea as a final product. Not only that, but this particular farmer left 20 acres of their farm completely wild–as in no management, no tending, no pesticides of any kind whatsoever, to let the trees there just do their thing. What’s more, the farmer won’t even pick the leaves off the tree if someone doesn’t order the tea to be made. Next up, the Formosa Yancha (rock tea). Until recently, I’d only had three other rock teas in my life: two types of Lapsang Souchong, and Da Hong Pao, which is considered by some to be one of the finest teas in the world. All three were Chinese. As such, I was very curious what this Taiwanese transplant had to offer. Under Amanda’s skilled hands, we started with a light first brew that took most of the roast off the leaves. It was bitter in the best kind of way. It prickled my tongue like the tobacco in a good cigar along with a bit of a sourness on the back of the tongue I’m starting to associate with heavily roasted teas. 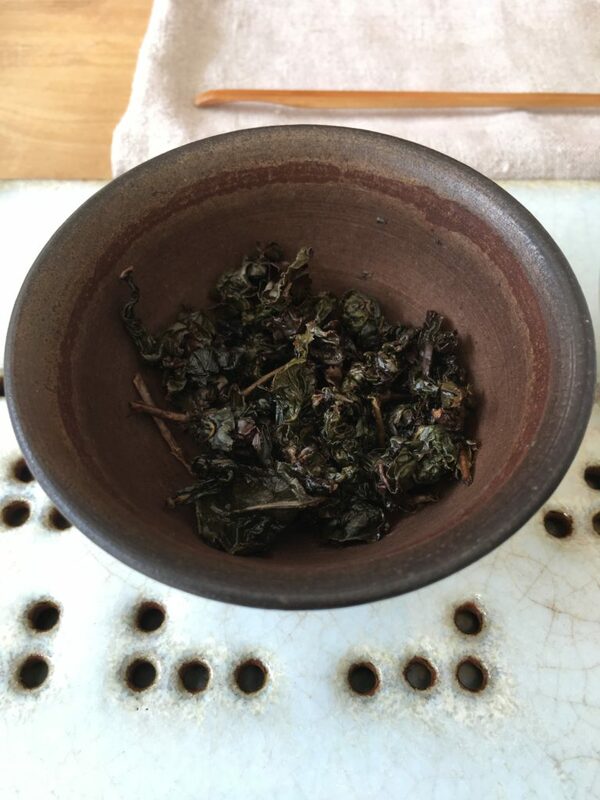 From there the tea turned towards more typical oolong-esque flavors, with a pleasant but not overpowering floral flavor underscored by a caramelized sugary sweetness. Finally we wrapped with the bug-bitten black tea. The leaves showed enough color to reveal they were not completely oxidized, maybe 80-90% or so. The “bug-bitten” moniker comes from actual bugs (leaf hoppers) eating the leaves. This triggers a defense mechanism in the tea plant that releases enzymes to heal the damaged leaf, creating a chemical reaction that gives the tea its unique flavor. It’s also seen by some as proof the tea bushes are not sprayed with chemicals or anything inorganic, further increasing its perceived value and quality. There was also a kind of funkiness (a technical term Amanda and I agreed upon) in the tea, which Amanda told me also resulted from the bug biting process. It was not at all unpleasant, but rather very unique to this particular type of tea. With the conclusion of this tea, so ended my tea service. I hardly kept time, and barely took any photos (on purpose), but I suppose it was somewhere in the vicinity of an hour. Amanda was not only a deft hand at brewing tea, but also a pleasure to chat with. I learned we’re both Midwest transplants and we bonded over butter, cheese, and all that heavy Midwestern culinary goodness you can’t get as easily in its true form on the West Coast. The service was an absolute joy, and almost criminally cheap at only $10. Amanda told me there’s no need to call ahead or make any reservations as long as you don’t mind potentially sharing the table with others. And why would you? So much time spent drinking tea is spent alone. While that can be part of the enjoyment, I’ve found the company and companionship, as well as the exchange of experience and information, entirely worth the effort and investment. I certainly wouldn’t mind sharing a few cups of Song Tea with any of you. Just hit me up if you’re looking for a partner in crime! I describe myself as a "tea enthusiast" but that might be a bit of an understatement. My biggest mistake is falling love with tea after I left China. Song is always such a curated and special experience! And what an exciting tea flight you had! @2017 - The Tea Letter. All Right Reserved.